During the construction of the garage or other real estate property (home, cottage etc. ), its owner will have to fill in the Declaration. In it, specify information about the object of immovable property. - information about the object. For filing pre-find out all the necessary information, which should be reflected in the document. Fill it in own 2 copies, recording all information in block letters without abbreviations. For filling of the Declaration take a ballpoint or fountain pen black or blue, although is stationery you can use the computer, but in the column "Signature" is necessary to put your signature. Note, all columns in the Declaration should be filled in. Dashes are permissible only in exceptional cases. In each cell specify only one value indicator. In the absence of any values in the cell and the corresponding column select the blank. See "Address object", specify the location in the "Appearance" section, mark "V" next to the line that corresponds to the characteristic of the object, in the section ""maintenance object description" enter the total area in square metres, excluding the area of loggias, balconies, verandas and terraces for residential units. In the "Year of creation" put the year of completion of construction, in the section "the right holder of the immovable property" - your passport data. By having a common share in the property, please complete section "information about the shared ownership of immovable property", and the string "Share", specify your share in the form of correct simple fraction. In the end enter the day, month and year of filling of the Declaration and endorse it with their signature, stating their name, name and patronymic fully under the heading "signature". Please note that in accordance with paragraph 3 of article 18 of the Law "On state registration" document cleanup or postscripts, crossed out words and other not stipulated corrections in them, the documents filled in with pencil, and with serious damage, do not allow to clearly explain their contents, not liable to registration. So be careful when filling out the Declaration, otherwise you'll have to rewrite everything again. The Declaration of the property confirms the fact of creation of such object and is represented in the set of documents required for state registration of rights to immovable property. In a new Declaration highlighted four types of real estate: buildings, premises, construction, unfinished construction object. Previously, the objects were classified in two types - the building (house, garage, other building) and construction. Declaration of immovable property - a document confirming the fact of creation of the immovable property and containing its description. 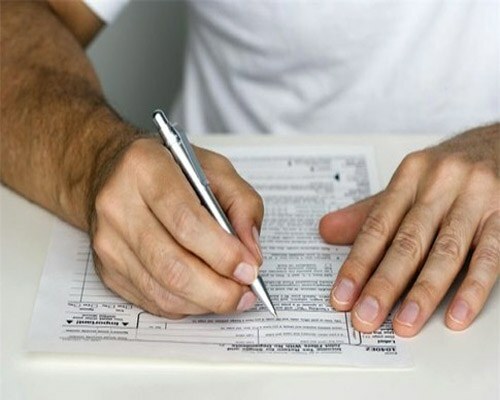 This document in certain cases is the only and sufficient document confirming the existence of the object, and vindication from the right holder any additional documents is forbidden (paragraph 5, article 25.3 of the Law on registration of rights). Thirdly, the Declaration of a nonexistent object may be expensive.